Ethnic variations exist across Europe, and have to be taken into due consideration, but the European regulatory approach enables each Member State to accept all available clinical data for evaluation, including that derived from different European, and even non-European, regions. A project is underway in Europe to compare the clinical safety of some medicinal products evaluated through the Concertation Procedure by assessing data on adverse drug reactions, observed during clinical trials and post-marketing, in each Member State. Preliminary results indicate that the qualitative profile of the detected serious ADRs does not show major differences across the European regions. 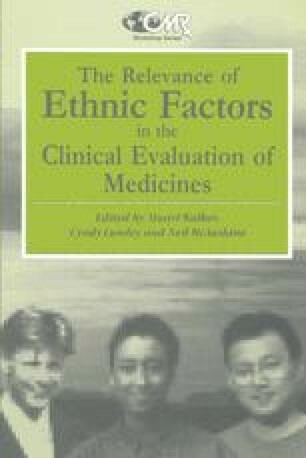 This suggests that the existing ethnic differences have not had a direct impact on the detection of serious ADRs.